What makes a Man? Accomplished. Successful. Driven. Oozing with charisma. A man of substance. These are the traits of a Rogin-E Man. He leads an active lifestyle. He has a successful career. He is driven to excel in everything. He indulges in recreational activities. On top of all these, he finds time for his family. 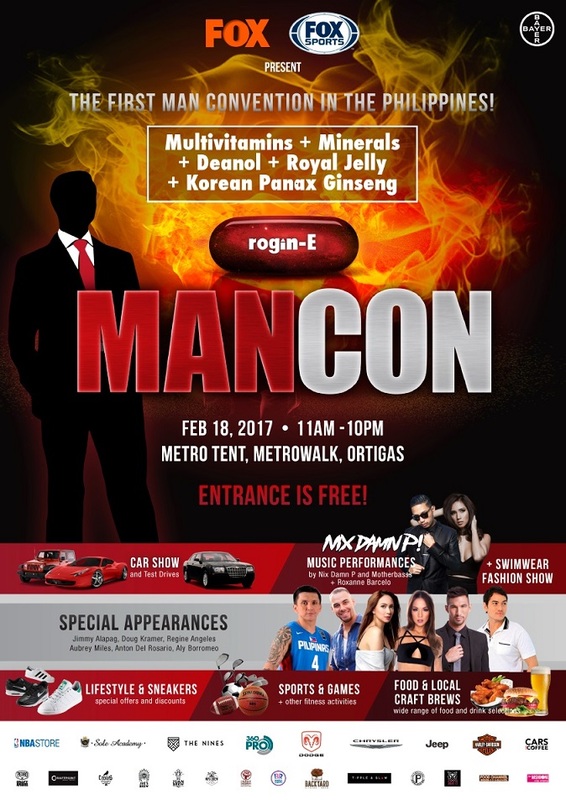 Join the First Rogin-E ManCon on February 18, 2017 at the Metro Walk Tent, Pasig City, Philippines. Event showcases the hottest cars, fashion brands, toys and hobbies for the Rogin-E Man. Multivitamins + Minerals + Deanol + Royal Jelly + Korean Panax Ginseng is the generic name of Rogin-E. Been wanting to say this for quite sometime now. It reminds us of that radio ad. Man up! See you at Rogin-E ManCon 2017!